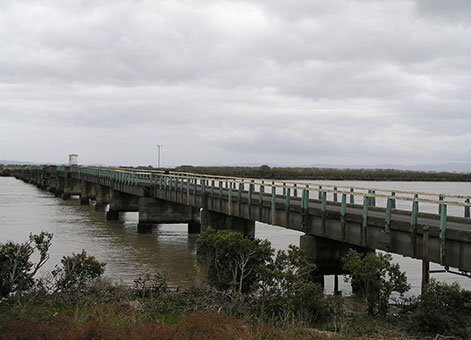 Kopu Bridge, May 2012, IPENZ. Kopu Bridge swing span section, May 2012, IPENZ. 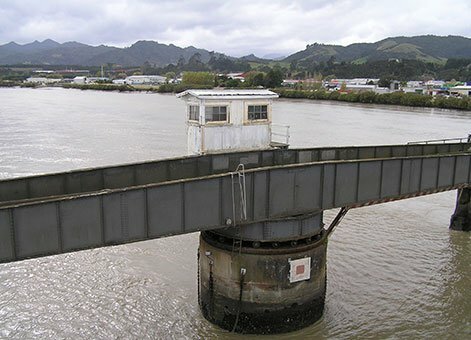 Kopu Bridge: New Zealand Heritage List/Rarangi Korero information. Near the current State Highway 25 road bridge, Kopu, Thames-Coromandel. AJ Baker, 'Waihou River bridge, Kopu, and piled foundations,' Proceedings of the New Zealand Society of Civil Engineers, vol.17 (1930-31), pp.371-97 (PDF 4.3MB).